A wool rug with a luxe feel and a subtle metallic detail – what more could you want in a statement rug? 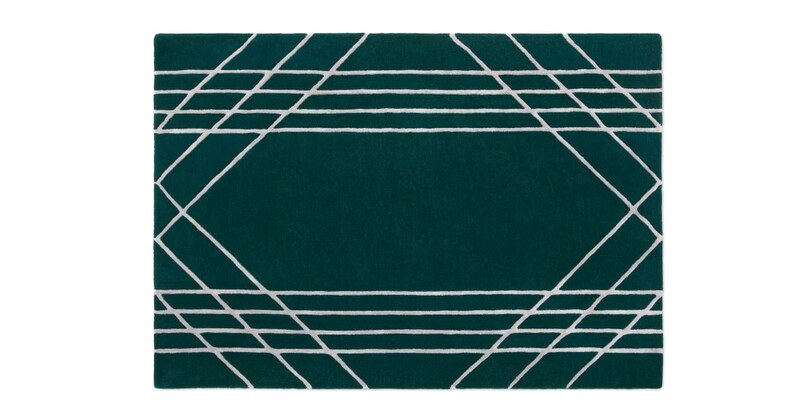 With its deco-look pattern, Emile makes a modern addition to your living space. Choose from teal and silver, or navy and gold. Emile's tufted by hand – we pick skilled craftsmen, to bring you high quality at an affordable price.